You know… Yes, again my favourite pink cards. Today I show you one wedding card. 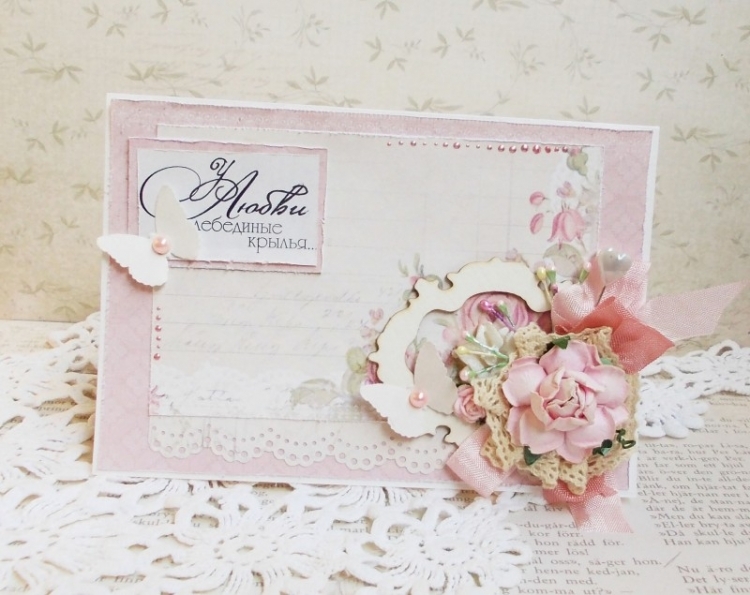 I used paper from For Mother collection, vintage lace, button acrylic ink, flower and chipboard.